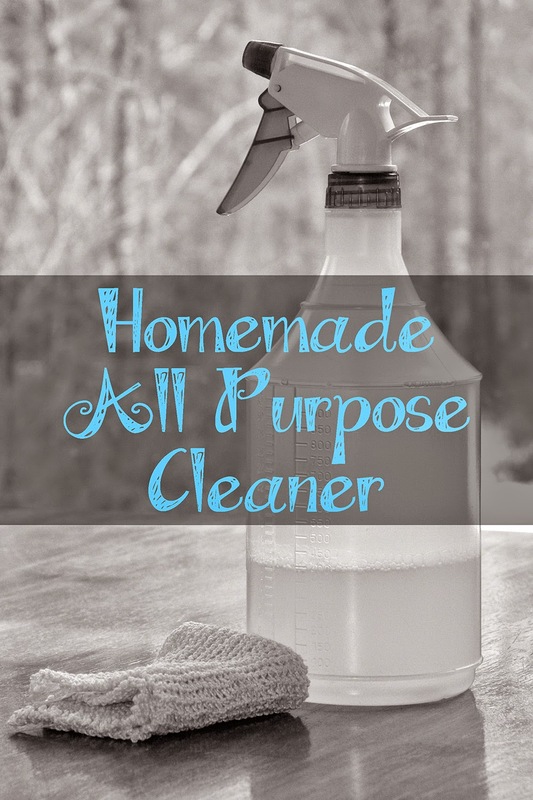 This is the second of a series on homemade cleaning products. I’ve had a few requests for these recipes, so I thought I’d share them here. I’m not going to call these recipes non-toxic, as obviously anything that kills bacteria and mold is toxic, though the goal is to use substances that are not toxic to people and pets. In addition, homemade cleaners are far, far less expensive. This is my all-purpose cleaner, the one I reach for the most. I use it to clean counters, tables, spots of dirt, and mysterious sticky substances on the tile floors. It leaves everything shiny, clean, and smelling wonderful. Best of all? It costs me about $0.09 to make a sixteen ounce bottle. Seriously, NINE CENTS. And the ingredients, once bought, are enough to keep me in cleaning solution for years. You don’t get much more frugal than that. It is very important to note that washing soda will dissolve wax. If you have a wax finish on your floors, or furniture, please use baking soda instead. With that said, parents, this stuff dissolves crayon marks like you wouldn’t believe. It’s like magic, and more than justifies the extra effort of locating the washing soda. Please read the information on the box, as this stuff should not be left where little ones can get into it. It is quite alkaline, and if swallowed in large amounts, can burn. It is perfectly safe in its diluted form in the cleaner, however. Borax is used for deodorizing, and when the cleaner is left to soak, it helps lift stubborn dirt. I use actual soap whenever possible. Why? Well, because there seems to be a lot of question around the safety of detergents, none around soap, and soap cleans just as well for most aplications. My very favorite liquid soap is Dr. Bronner’s, which comes in a wide variety of scents, and uses essential oils. I prefer the unscented kind, but you can use anything you like in this recipe. The water must be as hot as possible to dissolve the borax.